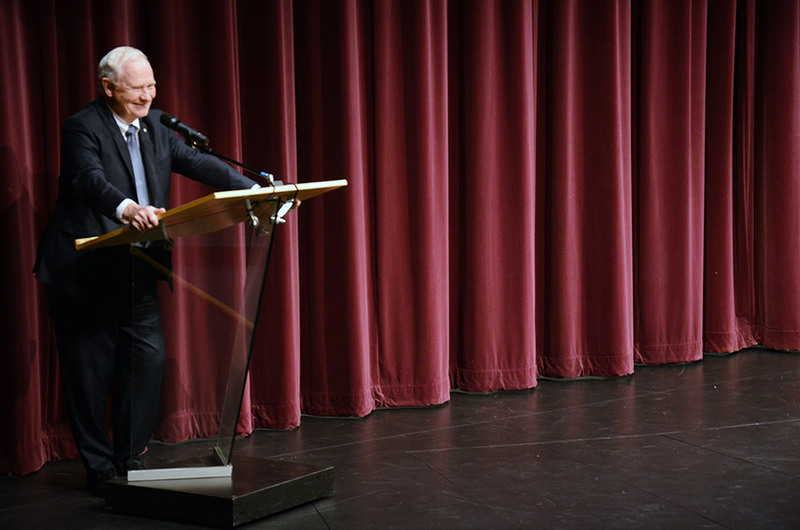 I had the chance to be part of a program with His Excellency last week in West Vancouver, and five years later, his words, his message and his vision for our country are still striking. 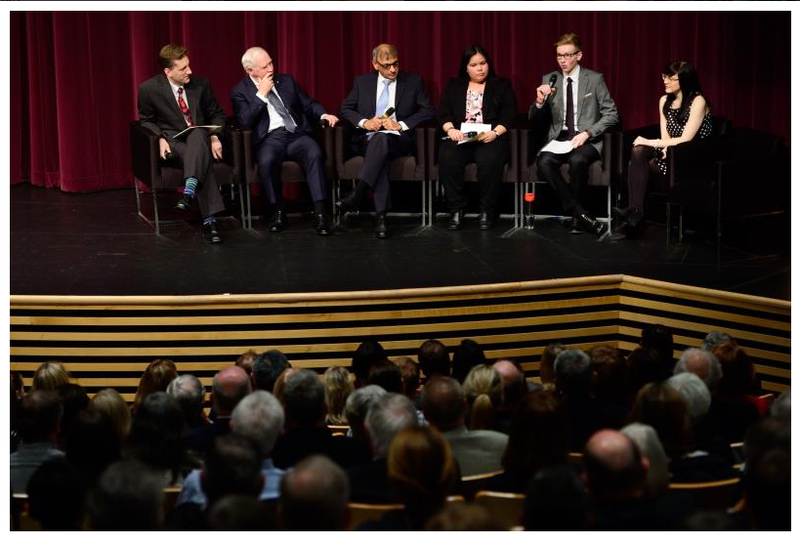 At the invitation of the West Vancouver Community Foundation, and other local foundations, His Excellency spoke to a full theatre of community members, and participated in a panel of local citizens that I had the good fortune to facilitate. During the panel, thoughtful local citizens shared their views of a smart and caring nation. A local entrepreneur and CEO of Earth’s Own Food Group, Maheb Nathoo discussed his views of universal truths including the need for gender equity and commitment to sustainability and the environment. Local high school student Liam Grant talked about the key role young people could play in community building and Shannon Ozirny, Head of Youth Services and the West Vancouver Memorial Library expanded our view of community raising the need for a smart and caring digital community. Finally, Adina Williams, a member of Squamish Nation, and student at the University of British Columbia, shared how her view of community has changed in recent years and expanded beyond her First Nations reserve, something she hopes for her entire community through the work of reconciliation. Towards the end of the session I asked His Excellency about what advice he would give a community like ours. He spoke about the upcoming 150th birthday for Canada. He said that he was really taken by Calgary’s Mayor Nenshi and his 3 Things for Calgary initiative. His Excellency thought this idea was something for others to consider and link it to our nation’s birthday celebrations. Of course I was left thinking that it would be quite powerful to pull together His Excellency’s belief in a strong public education system, and Mayor Nenshi’s “3 things” challenge – wouldn’t it be great if students, staff and community recognized the sesquicentennial by doing 3 things for their schools and for public education? So, just what messages from His Excellency stick with me? A strong public education system is crucial for our country. We are a smart and caring nation. There are small things we can all do to contribute. And I was left with a deep sense of pride in my community who showed so well for His Excellency, and for our country which His Excellency and others spoke of in such high regard. Here is a link to His Excellency’s speech and here a link to event photos taken by Sonya Adloff.